SitePoint’s latest book release, Create Stunning HTML Email That Just Works, contains a wealth of information about planning, designing, and coding HTML email. It will help you understand permission-based marketing and show you how to sell email design services to your clients. We’re making Chapter 3: Design for the Inbox available as part of the free sample PDF of the book. This article is an excerpt from that chapter, focusing on the first principles of HTML email design. Read on to start learning how to design beautiful and effective HTML emails, or download the free sample to read it and the rest of the chapter offline at your convenience. Assuming we’ve done a decent job with our subject line, our email may be selected from the inbox and displayed in a shortened form. For desktop email clients like Outlook and Apple Mail, the default preview pane is a tiny rectangle of space taking up less than 20% of the screen, as illustrated in Figure 1, “Sample screen showing preview pane size”. Imagine walking through a mall. Every store has a sign out the front, but all the windows are blacked out except for a square letterbox-sized peephole. To decide whether you want to go inside you need to peek through that slot to see what you can see. That’s what the preview pane is like—a limited view of your design and content. For that reason, it’s really important that the top of your email is informative. If all the reader can see is 300 pixels of your background color or an unrecognizable logo, they have to be really keen to bother reading on. Design Guideline 2: Find out what your email looks like in a minimal preview pane. If you’ve used any email program that renders HTML, chances are you’ll have opened up emails that looked like the one shown in Figure 2, “All-image email with images blocked”. Instead of words or pictures, there’s a stack of blocks of various sizes, as if someone is losing a game of Tetris in your inbox. Most of the major email clients, including Outlook, Lotus Notes, and Hotmail, will not display images by default. Instead, they display a broken image icon or an empty rectangle. Email software programs differ in the way they handle images by default, whether using a global setting, or showing images only from your known contacts, or on an individual email-by-email basis. In some cases, embedding the images as MIME-encoded attachments can avoid the image blocking, which is worth knowing. However, sending images as attachments creates a greater risk of being filtered, slower download speeds, and more complex processes. And you can bet that if spammers start embedding all their images as attachments, the email clients will respond and start blocking those as well. So what are we to do? Avoid images entirely? Well, you could, and in many cases a well-formatted HTML email without images can be highly effective and achieve all your goals. That’s not always true, though, and inevitably we’ll have clients or bosses who really do have valid requirements for images. Design Guideline 3: Always check your email with images turned off. Design Guideline 4: Keep email designs reasonably narrow. There are many different laws that apply to commercial email according to where you’re located in the world. One rule that applies almost everywhere is that you absolutely must have permission to send people bulk email. In most cases, it also makes sense to remind people about how they gave you that permission. We’ll be covering this topic in more detail in ?? ?, but we’ll describe it briefly here, as it’s an important element that needs to be considered before you start your design. 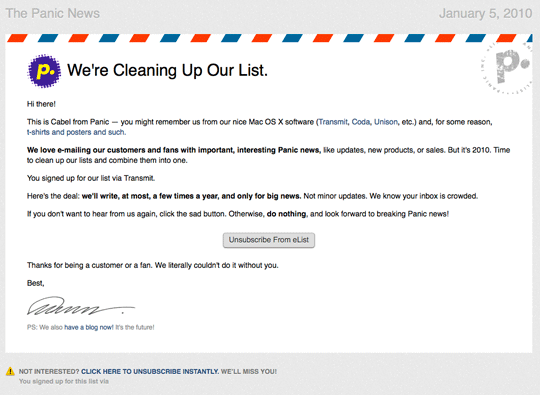 Panic sent a very attractive and cleverly designed email, shown in Figure 3, “Panic’s permission reminder email is personalized with user-specific information”, but it was the addition of the line “You signed up for our list via [product name]” that helped them avoid complaints. The main impact of this law for designers is the need to include the physical address in the design, typically in the footer as you’ll have seen. Find out more about CAN-SPAM at the FTC website. Campaign Monitor’s own email newsletter template is one example. Compare the current Campaign Monitor home page to the newsletter, both which can be seen in Figure 4, “Campaign Monitor website and newsletter”. Structurally the email is much simpler, consisting of a single column. The email header ties in to the sunburst effect from the website header, but the content has been reordered. At a glance the two images look strongly related, but not identical. This is the level of similarity to aim for: an email that feels as though it’s a natural extension of the website. 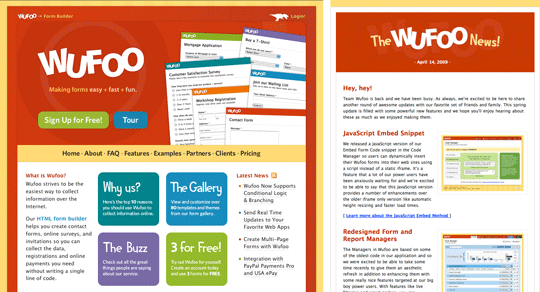 It should stand on its own as a well-designed and readable document, but clearly be part of a bigger design.Figure 5, “37signals home page and newsletter”, Figure 6, “Wufoo home page and newsletter”, and Figure 7, “Authentic Jobs home page and newsletter” are the current home pages of some other popular services (on the left), and their newsletters (on the right). Even in 600 pixels, there are plenty of ways to lay out content. How do designers usually approach an email layout? 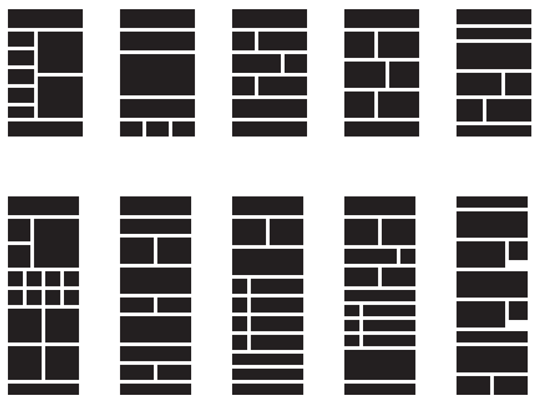 Figure 8, “The most popular layout variations sent through Campaign Monitor” shows some the most popular block-level email layouts, as taken from a typical day of email campaigns sent through Campaign Monitor. Two-column layouts (with about an 80/20 split) are by far the most popular layouts, which was true for websites ten years ago as well. The idea of interspersing two-column blocks with full-width blocks is very popular, and gives the email a more dynamic feel if it’s done right. It’s also very flexible, and allows you to use a variety of different content types. It’s very rare to see more than three columns, and that’s hardly surprising given the design constraints I talked about in the section called “The Design Environment for Email”. Now that you’ve learned the principles of designing an attractive and successful HTML email, it’s time to put them into practice. Begin by downloading the sample PDF of Create Stunning HTML Email That Just Works, which includes all the text of this article, along with the rest of Chapter 3: Design for the Inbox. When you’re ready to take your HTML email design skills to the next level, buy the book and learn how to code up your template, help your clients manage their subscriber lists in a legal and effective way, and start selling email design services to your clients. Visit http://www.campaignmonitor.com/blog/post/2546/writing-better-subject-lines/ for some great jumping-off points. You can find out more about how the Campaign Monitor newsletter was planned and built at http://www.campaignmonitor.com/blog/post/2677/redesigning-the-campaign-monitor-newsletter/.